Scumbag lawyers are hounding legendary motorcycle stuntman Evel Knievel even from the grave. The famed daredevil died last year at the age of 69. 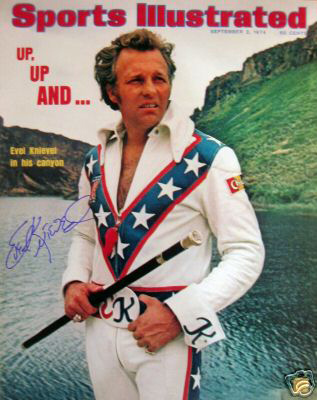 It’s been nearly eight months since his death but Knievel’s estate is still being settled. He’s being sued for $64 million by his former promoter. 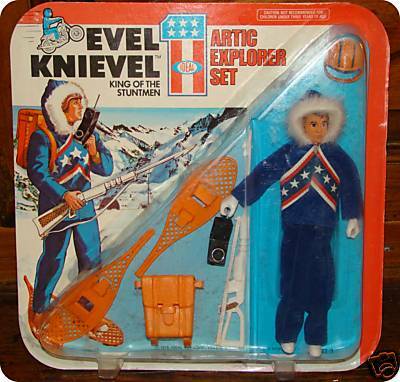 Even though he retired more than 30 years ago, there are still HUNDREDS of Evel Knievel items for sale on e-bay right now. Knievel was such a genius at marketing and self-promotion that he actually achieved his biggest paydays based on his failures. After his spectacular flameout jumping the Snake River Gorge in 1974, Knievel made the most money of his life with his final jumps on ABC. In fact, Knievel’s entire television career was based on failure. In 1966 Knievel made his famous jump over the fountains at Caesar’s Palace in Las Vegas. How he even got Caesar’s to agree to the stunt is a story unto itself. Knievel personally called Caesar’s CEO Jay Sarno pretending to be from ABC Sports. He asked Sarno about the upcoming “Evel Knievel jump.” He then asked Sarno for details “about this Evel Knievel kid.” Sarno, of course, had never heard of Knievel. Knievel hung up, changed his voice and called Sarno back. This time he pretended to be from Sports Illustrated. Again he asked Sarno about Knievel and wondered if the casino exec could set up an interview. Knievel hung up and called back a third time. This time he said he was Evel Knievel the “famous motorcycle daredevil” and asked Sarno if his casino was interested in holding one of his events. Sarno signed him on the spot over the phone. Many people don’t know that the Caesar’s event was NOT carried live on network television. 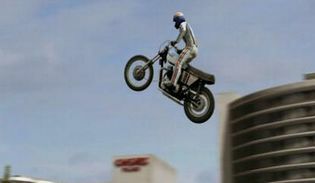 Knievel shopped the jump to all three major networks. They all took a pass at any price. Knievel hired his own film crew to tape the event. On the day of the jump Knievel went to the casino floor and placed a single $100 bet on blackjack. He lost. He then downed a shot of Wild Turkey and proceeded to the Caesar’s parking lot. In the ensuing jump Knievel made the most spectacular crash in the history of mankind. He suffered a crushed pelvis and femur, fractures to his hip, wrist and both ankles and a concussion that kept him in a coma for 29 days. He emerged from his coma as the hottest property in television. ABC Sports won the bidding war for the rights to televise the jump (and crash.) The rest, as they say, is history. Unfortunately both groups outlasted Knievel. 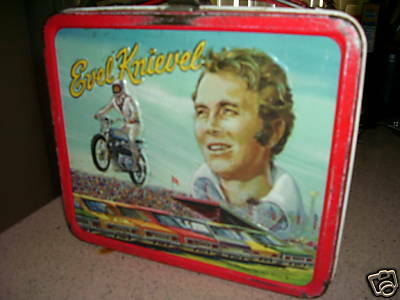 The money dispute with Knievel’s estate grew out of a dispute with his former manager. Following the failure of Knievel’s Snake River Gorge jump, his manager, Shelly Saltman, decided to recoupe some of his losses by writing a tell-all book about Knievel. The book was entitled “On Tour With Evel Knievel” and accused Knievel of beating his wife and children and taking illegal drugs. A legal battle ensued. Saltman went for his lawyers. Knievel went for his baseball bat. Hopping a plane, (and with both arms still in casts from a previous motorcycle crash), Knievel flew to California where Saltman was a vice president with Twentieth Century Fox. Waved through by studio security, Knievel caught Saltman having lunch and proceeded to beat him mercilessly with his baseball bat. The encounter was a win one/lose one for Knievel. The publisher of Saltman’s book freaked out and pulled every copy of the book in existence off the store shelves. However, Saltman sued Knievel and eventually won a $13 million judgement against the daredevil. 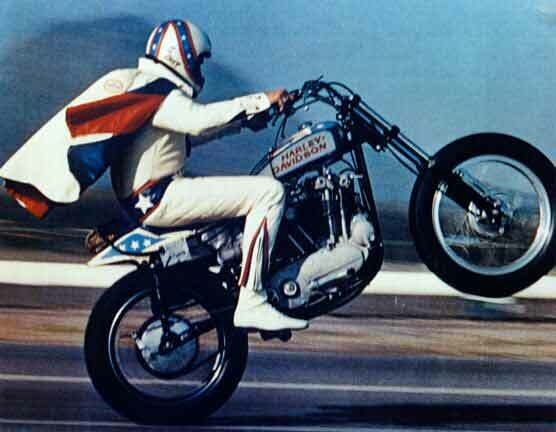 Knievel filed for bankruptcy and never payed Saltman a dime. Now, following Knievel’s death, Saltman and his scumbag lawyers are seeking $64 million. Because of the interest. The only “interest” the world has in Sheldon Saltman is to see him die a slow, painful, horrible death and rot in hell for all eternity.